3/30, HUDSON, N.C. - The SEST Limited Late Models (formerly known as the Gripp Energy Limited Late Models) began their second year running with the Southeast Super Truck Series. The Season Opener at Tri-County Motor Speedway on March 30th. TCMS is a special place to several drivers as it their home track Josh Goble (who won the Late Model Track Championship there), Jason Cochran (who has several wins there from trucks, to limiteds and late models), Chris Phipps (who won one of the biggest Limited Late Model races ever at TCMS), Dan Moore who has always ran well there, and Mark Goin who has been racing there for several years there. The first practice began, the drivers climbed aboard their machines for the first time to adapt to the track. Ralph Carnes climbed the top of the charts, followed by Goble, Phipps, Tanner Brookshire, and Cochran. As the second practice neared, Goin found his #77 machine on top of the speed charts, Goble, Phipps, Cochran, and Moore rounded out the top five. They had one more round to make any adjustments and finish finding the right set up. Cochran made all the right changes to the car and clawed his way to the top followed by John Gallman, Brookshire, Moore and Tyler Worley rounded out the top five. Qualifying was up next for the drivers. Carnes once again prepared for a short track shoot out as they was getting into the nitty gritty. With just four laps left in the feature, Goble found himself in trouble as he hit the turn two wall and ended his night. Carnes once more prepared to hold off the field on the restart. As they made it back to turn three, Carnes and Rich made contact resulting in Rich shooting back up the track collecting Goin. Brookshire now moved up into the second position and ran right with Carnes, however came up a little short in the end. 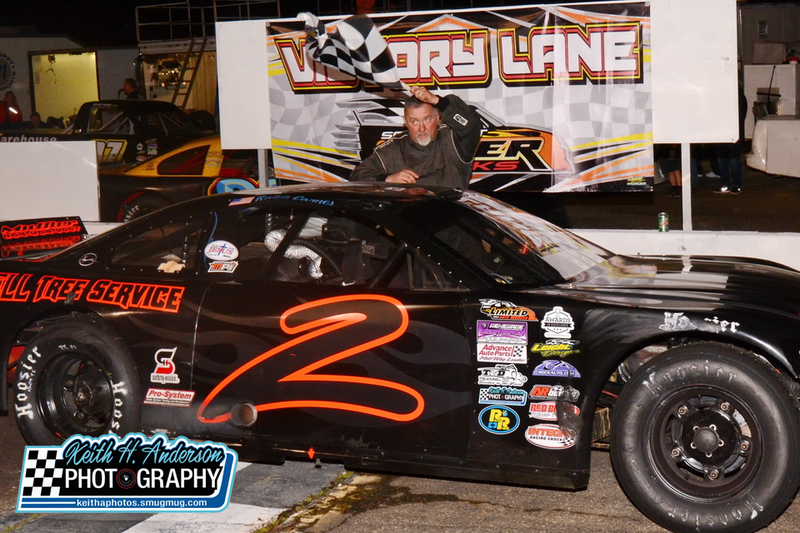 Carnes picked up the first victory of the 2019 season, Brookshire, Phipps, Moore, and Eric Green rounded out the top five. The Series will make their second stop of the season in a few weeks at Anderson Motor Speedway on April 20th. For more imformation visit our website www.southeastsupertrucks.com or our Social Media sites.